Free Printable Blank United States Map. 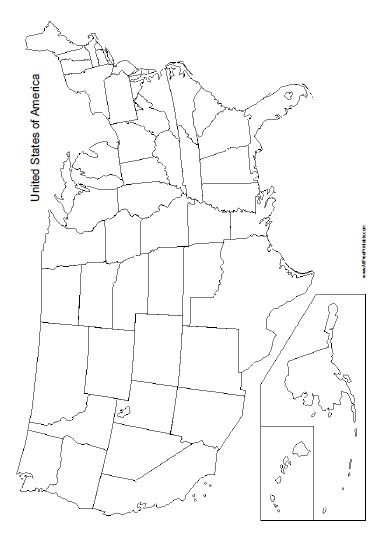 Free Printable Blank United States Map a great educational resource for teachers and students. Print free Blank United States Map here. Print it free using your inkjet or laser printer. Great free printable for school, projects, study, test or quiz. This map includes the Blank United States Map with blank state divisions including Alaska and Hawaii. Click the link below to download or print the free Blank United States Map now in PDF format.